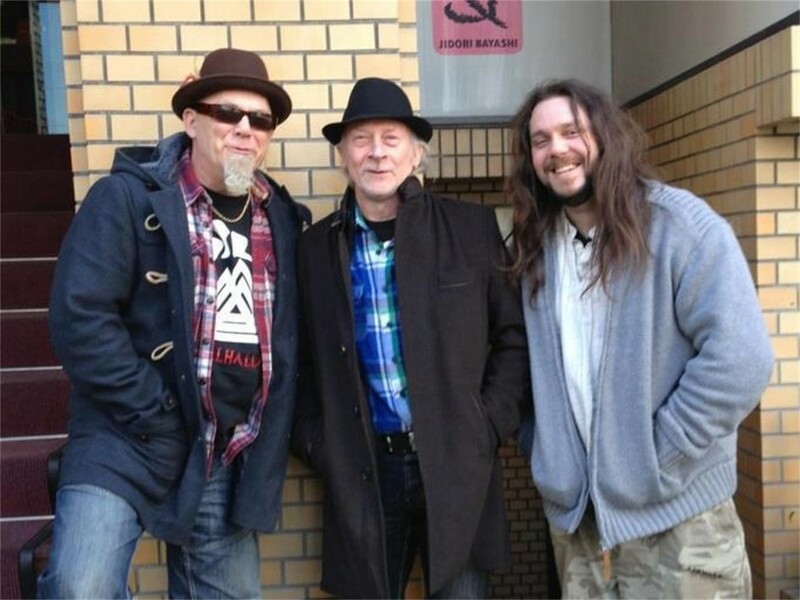 Share the post "Interview with DEL BROMHAM (Stray) – 24 December 2013"
It’s hard to believe Stray founder member and guitarist Del Bromham recently reflected on his web site that 2013 has been a quiet year for him. 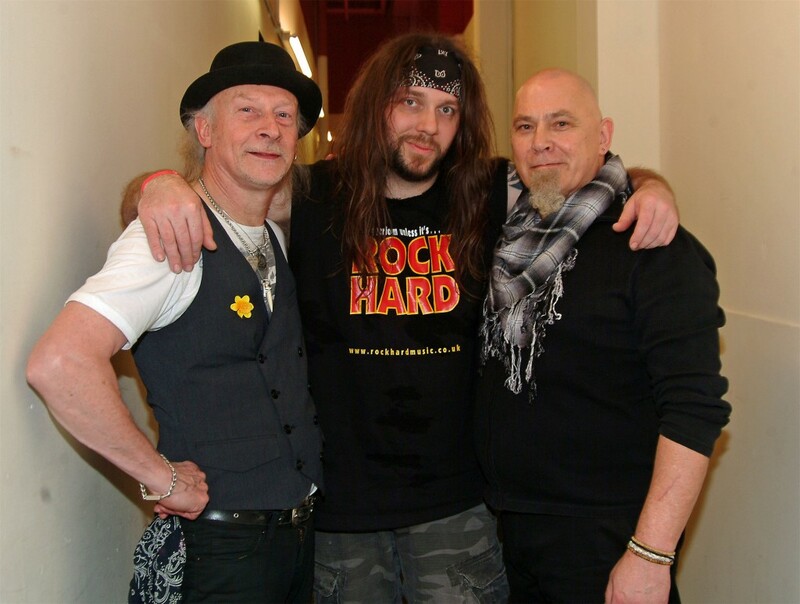 This after all is the man who apart from deservedly receiving a ‘British Blues Greats Award’, spent the year consistently touring around the UK, gigging and recording in Japan, and writing and recording his second solo album,’ Nine Yards’. 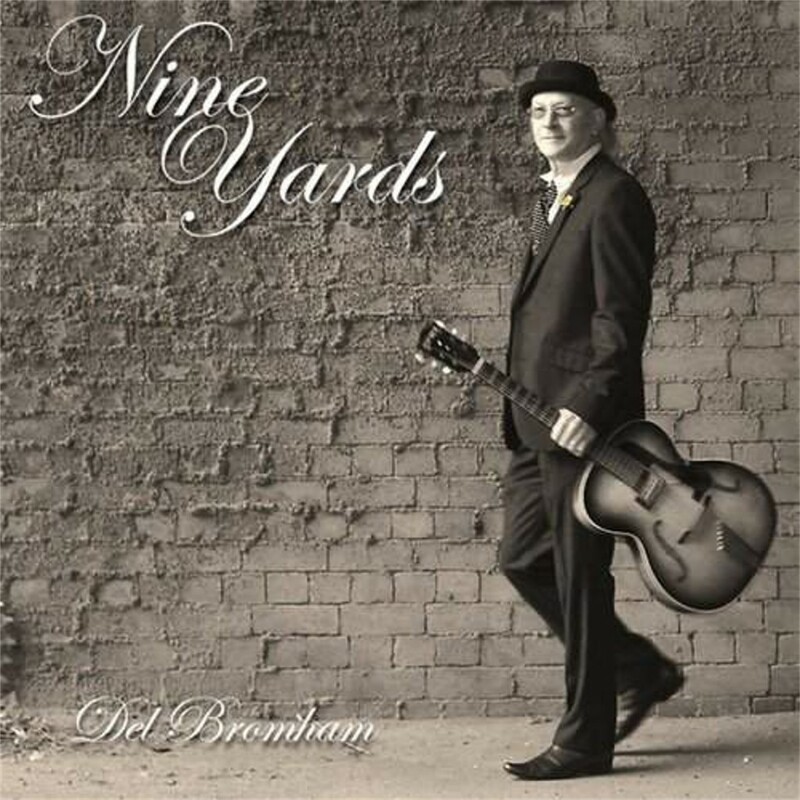 And while Del has made his name with Stray as a hard riffing guitarist with fine songs and booming hooks, ‘Nine Yards’ takes a step back and focuses more squarely on his songs and his blues and rootsy influences. It’s also more of an unplugged, lo-fi and live in the studio album. That’s said, Del still rocks out enough to please long time fans, while exploring some rootsier material. He also colours the album with his multi instrumental versatility in the company Stray drummer Karl Randall and guests Cherry Lee Mewis and Robbie Stewart-Matthews. The encyclopaedia of Popular Music compared Del to Jeff Beck, Jimmy Page and Clapton, but ‘Nine Yards’ shows a different side of his musical palette. Pete Feenstra grabbed a phone interview with Del to ask him about the new album as well as his plans for Stray in 2014. Was the current ‘Nine Yards’ solo album on Angel Air records something you had in mind for a while? It was really yeah, there are songs that I didn’t think necessarily fitted in with Stray and they also came at a time when Stray’s bass player Stu Uren wanted to come off the road for a while. So I thought it was an ideal opportunity for me to go in and put these songs down. I used Karl Randall from Stray on drums, but I played guitar, bass and keyboards – everything and the kitchen sink really. I just finished the whole thing off. There were songs I wanted to get out of my system and there were a few personal things I wanted to sing about. I was pleased with the way they came out. The funny thing was, I went into the studio initially to do a few demos to see how they would progress. I was so happy with the demos that I continued working on them, and low and behold they eventually became the whole album. Originally it was going to be 10 tracks and then it grew to twelve and then I wrote a couple more, so I had 14, and on top of that there was about 6 or 7 tracks that I didn’t even use, so there was plenty of material lying around. ‘Nine Yards’ has the old fashioned feel of a complete album and it’s also got a Bluesy undertow to it. I wondered whether fact that you were awarded a life time achievement award at the British Blues Awards pushed you more towards the blues? I don’t really think so, it’s an odd one really, as the album is just how it came out and it wasn’t contrived or planned like that. You are right about the sound of the album and the way its flows from one track to the next. I wanted to make it more old style and I wanted to keep it fairly basic. I didn’t want a big production and maybe something more like a little band playing the songs in a studio. I wanted something like the albums I used to listen to way back when. In fact a lot of people I listen to go for that sound. Some of the lyrics might be a bit bluesy, but it’s really just the way it all came out. At least three tracks could potentially have been Stray, particularly ‘The Ballad of JD’, ‘You Don’t Know How I Feel’ and ‘Don’t Throw Your Love Away’, while ‘Words’ is a rocker with a Walter Trout influence? (Laughs) thanks very much – I saw Walter a few weeks ago and he’s still rocking away. I suppose I can’t really get away from the actual connection with Stray. After all I did quite a bit of the instrumentation on Stray albums and I wrote about 90% of the material over the years, so I guess there is always going to be that connection somewhere along the line. The songs on this album are very narrative driven? They are stories. I’ve always tried to do that – whether they are fact or fiction – and try and make the lyrics interesting. I know some of the best songs are about capturing a vibe, but if I can, I always try and write a decent lyric. I was brought up on the old school of verses and choruses, and I always tried to be more than just a band that plays riffs. I tried to integrate the two aspects of the blues rock thing and the lyrics into Stray. I suppose I always wanted to please everyone at the time, but what comes out of me is what it is, I can’t say more than that really. There are a lot different influences on the album, including ‘Everybody Has To Sing Blues’ which has a southern rock feel? Yeah, interestingly enough that’s the oldest song on there, which I never got round to recording. I was going through some old demos of songs I had written and I wrote that when Stray first broke up in 1977 and I was preparing to do a solo album. That was maybe the second song I put down on this album, I guess initially I was trying to get that southern rock blues feel but eventually it just came out as me. The rest of the songs are pretty new. In fact a couple were written the night before the recording, as I decided to scrap the other ones I had originally planned. So there’s quite a fresh completion to the songs apart from that one. How did your duet with Cherry Lee Mewis ‘What Comes Around’ come about? I’ve known her a while and she lives quite close to me and I just think she’s got an amazing voice and is a real talent. I wanted to do something with her on record, but I wasn’t quite sure what. I didn’t actually write that song with her in mind, but when I wrote the song I thought this might be really good. I’d seen her sing many times and I always thought I wanted to get her behind the mic to sing something very rocky and ballsy. When once again I was listening to the lyrics on the demo I thought they could almost be two people, one person making a statement and the other person making a comment about it. So I invited her down to the studio, and I’m not kidding you Pete; I just said here’s the song and I gave her the lyric sheet. She did one run through to make sure the key was OK and by the second run through, she got it and that was it, done and dusted. ‘You Don’t Know How I Feel’ could also be Stray, but also has hints of Buddy Miles about it? And finally going back to Stray, you are touring in March/April on the back of a new album recorded in Japan in 2014? That’s right, we got invited to play in Japan back in February this year and we recorded two nights at the Fever club in Tokyo, which was very nice. It was a bit like the old Marquee club actually, if you can picture it. We recorded two nights there, and we weren’t sure how it was going to be, but the club was absolutely jam packed two nights running. They went crazy, they knew all the words and all of the songs and it was like playing to a home crowd. As soon as I introduced something they all knew what it was. We recorded both the nights and had the masters sent back home and remixed them here. And once again Angel Air records are putting it out in March. It’s probably going to be called ‘Live In Japan’ and we will be doing some shows in March and April to promote it. This entry was posted in All Posts, Interviews/Rock Stars and tagged Angel Air, Buddy Miles, Cherry Lee Mewis, DEL BROMHAM, Eric Clapton, Jeff Back, Jimi Hendrix, Jimmy Page, Karl Randall, Nine Yards, review, Robbie Stewart-Matthews, Stray, Stu Uren, Walter Trout. Bookmark the permalink.